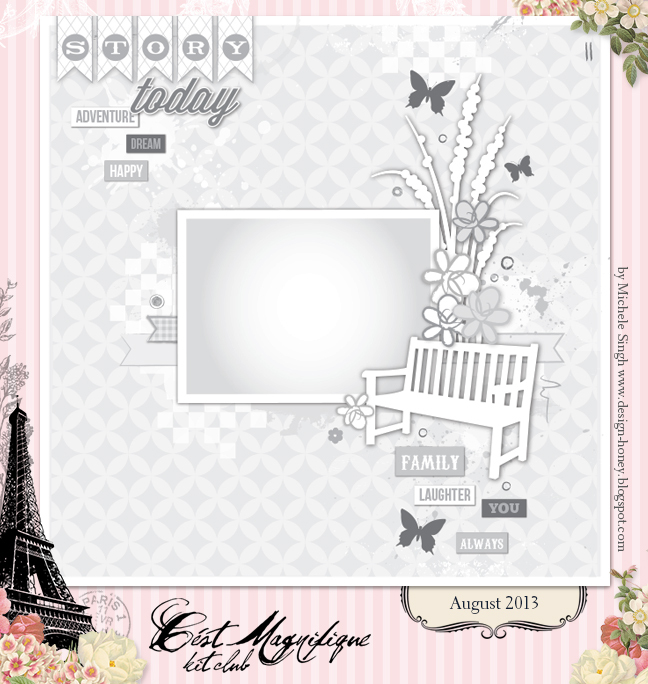 C'est Magnifique Scrapbook Kits and Store: Our August Sketch Challenge! Welcome to August! Wow, it has been busy around here. Leslie attended CHA and is trying to catch up with store orders. If you placed an order, we want you to know that we are busy getting it filled and will ship to you as soon as possible. We're here today with a new sketch from Michele Singh, designed especially for C'est Magnifique. Michele created this sketch based on some of the embellishments in our August Kit, but if you're not a subscriber to our kits, we urge you to use whatever supplies you have. 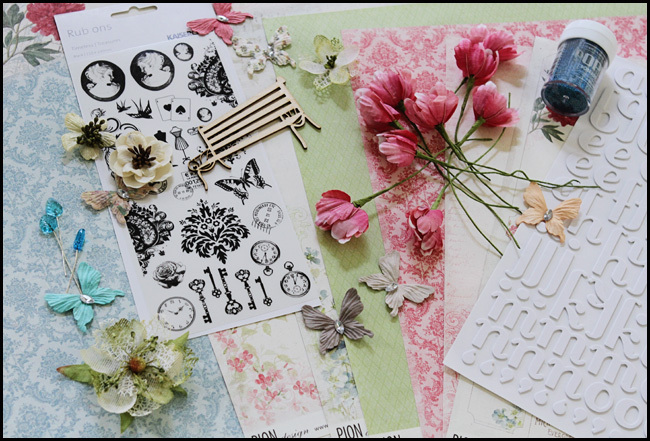 Our amazing design team has created some beautiful layouts using the sketch and our August Kit "A Day in the Park". We can't wait to see how you will use our sketch. The Sketch Challenge is open to all our blog readers and you may use any supplies that you have on hand. No need to be a member of our kit club to participate. You can flip or rotate the sketch, but please stick with the original design as much as possible. We want to be able to see the sketch in your layout. Each month we award two prizes. The winners will be selected by a random draw. This month, Leslie has decided to award an August Kit to the winner of the sketch challenge. The winner of kit will also be able to shop in the C'est Magnifique Store, and have their purchases sent with the prize package, so that means you won't have to pay for shipping. If you are already a subscriber to our kit club, your next kit will be free! You have the entire month of August to submit your layout. Deadline for entering the sketch challenge is midnight, August 31, 2013 (US time). beautiful sketch and sample by the DT! Will surely try to squeeze this one in this month! Such a beautiful sketch and wonderful layouts by the DT! I'm sure I'll give it a try. Thanks for the inspiration. Dear team, many thanks for inspiration, sketch is amazing! We're Looking Ahead to September! Bits & Pieces Giveaway Winner! Winners and Lots of Inspiration!